I have been meaning to tell you about this great book for a few months but time seems to get away from me. One Wonderful Curve is the 2nd book by the wonderful designers from Sew Kind of Wonderful. 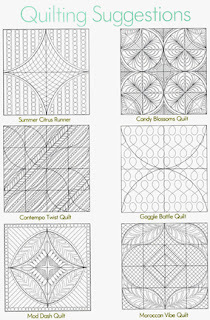 These are contemporary quilts and each one uses the Quick Curve Ruler designed by sisters Jenny, Helen and Sherilyn. I have taught several workshops using this ruler and the QCR Mini ruler and students learned how to cut the perfect curves and sew perfect blocks very easily. I love tools that can be used over and over again - and the Quick Curve Ruler fits my requirement well. 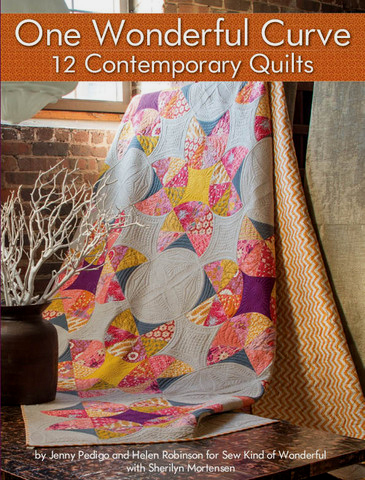 This book has patterns for 12 quilts and each one is very appealing. This is not a book where you'll like just one or 2 designs. I'm sure you will want to make them all! The Techniques section is well-illustrated, showing how to cut and then sew the curves. Close-up photographs are very helpful in this section. Projects range in size and complexity. 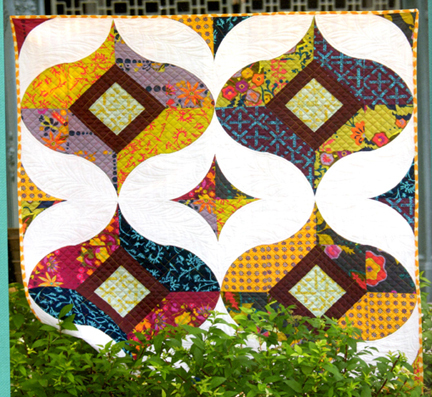 The first project, Summer Citrus Runner, is easy for quilters who are new to the technique and for anyone wanting a quick project. There are wall-size projects and full bed-size projects in the book. 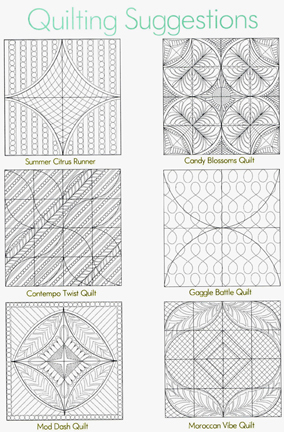 My personal favourite is Moroccan Vibe Quilt. I have a collection of fabrics I bought in Hawaii last February and just need a couple more to find and then I can get started on this quilt. One other thing I LOVE about the book is the photography. I can really SEE how each project was quilted. A bonus at the back of the book are Quilting Suggestions to help with this part of your project too. 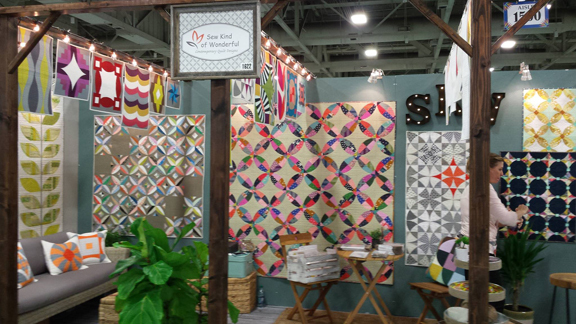 Although I wasn't able to attend Spring Quilt Market this year I found this photo of the Sew Kind of Wonderful booth taken by Quilters Newsletter Magazine. 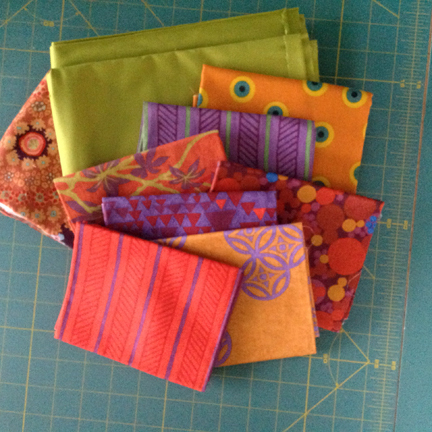 I'll be watching for new patterns for quilts displayed here! directly from the gals at Sew Kind of Wonderful. You make the book sound too good to pass up!